Juventus are reportedly planning for life without Manchester United transfer target Paulo Dybala next season. According to Don Balon, the Argentina international remains a target for United and Paris Saint-Germain, and Juve look ready to let him go without signing a replacement due to having Fernando Bernadeschi in their squad already. 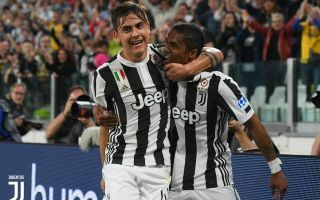 It’s been a difficult season for Dybala since Cristiano Ronaldo joined Massimiliano Allegri’s side, making him less of a focal point in the team. Still, the 25-year-old has long looked like a potentially world class talent and could earn a big move this summer if recent speculation is to be believed. The Sun recently linked Dybala with Man Utd for around £120million, while Tuttomercatoweb have also reported of talks taking place over a deal. The South American forward could clearly have a role to play at Old Trafford, where Ole Gunnar Solskjaer could really do with replacing Chilean flop Alexis Sanchez. Similar players have been linked with the club in recent times, with Sport claiming United are in pole position to sign Antoine Griezmann. Meanwhile, the Evening Standard have claimed the Red Devils are confident of signing England starlet Jadon Sancho, while another young English talent in Chelsea’s Callum Hudson-Odoi has also been linked with them via the Mail.